Fourth #SpringerDinger of the World Series! There are really two stories of game six of the World Series. You are hearing quite a lot about one of them, namely that the Dodgers outplayed the Astros, winning the contest 3-1. For the more than half a game he was on the mound, Astros ace Justin Verlander pitched well, although not well enough to quiet the Dodgers' bats completely, which is apparently what it would have taken for Houston to enter the game's perilous second half with a lead, thanks to Houston's own anemic and scattershot offense. 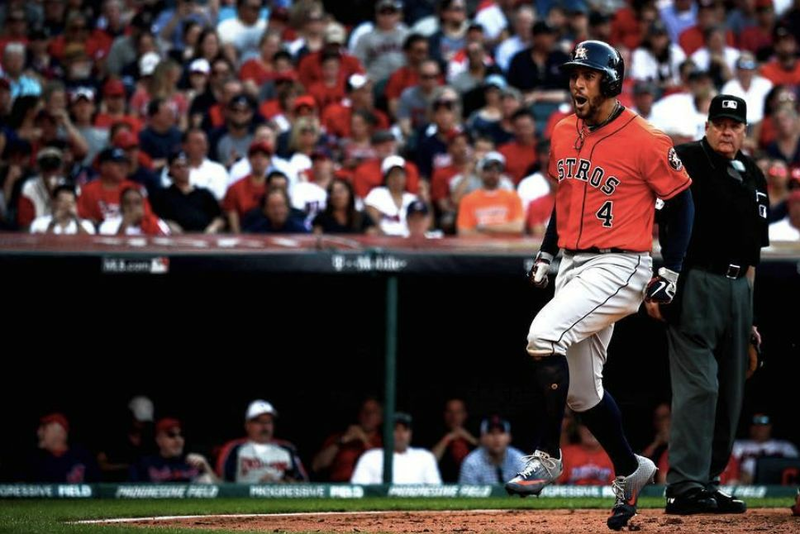 The momentum created by several consecutive good bats was not created, missed opportunities abounded, and the Astros' old problem of leaving runners on base in scoring position once more reared its ugly head. Thus was the team a sitting duck in the game's closing innings, when the vaunted Dodgers' bullpen accomplished what it has accomplished all year. That's one story of the game, the one created and packaged by TV, and rubberstamped by print and digital outlets near and far, the one fed to millions of baseball fans around the country last night as the story. As it happens, that is not the story at all, as any honest spectator who was actually at Dodger Stadium last night will tell you. That was mere subplot. The story of the game was not written by a few dozen players with the help of a few dozen media outlets, but by most of the 54,128 living bodies who watched the game in person. On TV, it looked like a contest of bats and balls. 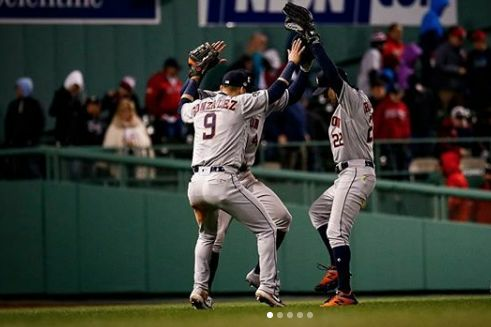 In the stadium, it was a contest of bats, balls and a mob that cared for nothing but winning the game, and to that end, did everything it could to harass and degrade Astros players. To be fair, one of those Astros, Yuli Gurriel, had given them an opening. When Gurriel hit a home run off Yu Darvish in game three and then celebrated in the dugout by inexplicably pulling back his eyelids and calling the Asian pitcher a "chinito," he did something more than embarrass himself in front of the entire world. 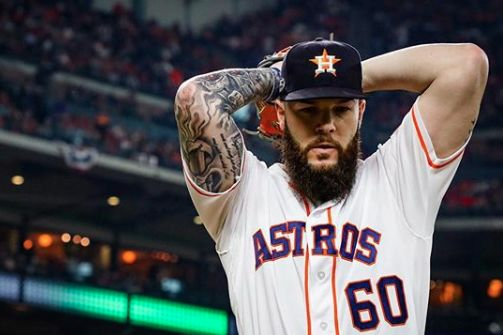 In mere seconds, he changed the course of the Astros' season and may well have sealed their fate in the World Series. Up until then, the line on Houston's team was that it was a merry, joyous bunch who'd come from nothing and were now on the brink of greatness, a team that had admirably carried the torch for a city in its darkest hours. The Dodgers, meanwhile, were a club that owed its success largely to money and the backing of the national media, which had reasons of its own for leading the charge for L.A., just as it had when the New York Yankees were the Astros' opponents. And then there were the puppet-masters running the big screens in Dodger Stadium, whose calls to MAKE SOME NOISE were so loud and incessant they bordered on threats. Oh, and did the TV commentators tell you about the Darvish highlights reel that just happened to play right before Gurriel's first at-bat? Of course not. It wouldn't have fit the story they were trying to tell, the one about this being a fair and just contest between teams, about balls and strikes. Why was crowd noise during the telecast reduced a comically low level? Clearly, high-definition TV is solely a visual goal. Think about all this when you watch game seven tonight (which we still think the Astros will win, make no mistake). We tell you these things not to in any way absolve the Astros of their poor performance last evening, or to preemptively explain away what might happen tonight. The team simply did not play well in game six. But there are reasons for that performance that go beyond base-running decisions and batting line-ups, slick balls and autumn weather. Far beyond them. And TV is keeping those reasons to itself. TV wants to crown champions, not question how they are crowned. TV wants to talk about baseball, not whether a player's dehumanizing act could possibly justify his mass dehumanization by thousands of Dodgers fans. 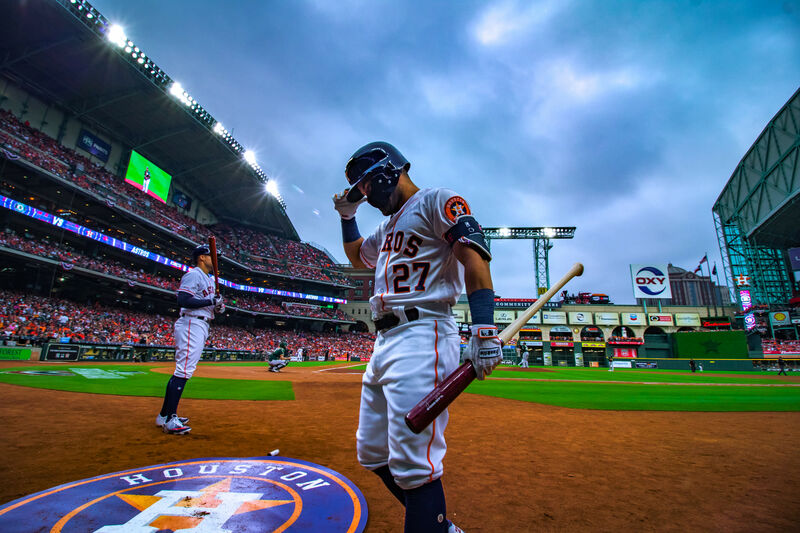 TV wants questions it can answer with minutia, with Statcast, but shrugs its shoulders at the harder questions, the ones about the meaning of what Gurriel did and what might constitute a proper response to it. TV wants to talk about the glory of sport, not the ugliness of racism. TV has a story it wants to tell here, and it will not be stopped from telling it by the truth. The seventh and final game of the 2017 World Series begins at 7:20 p.m. local time tonight and will be conveyed to the public via the FOX channel.